The bloom is just getting started, but breathtaking as usual. We have several hundred plants throughout the yard and garden. 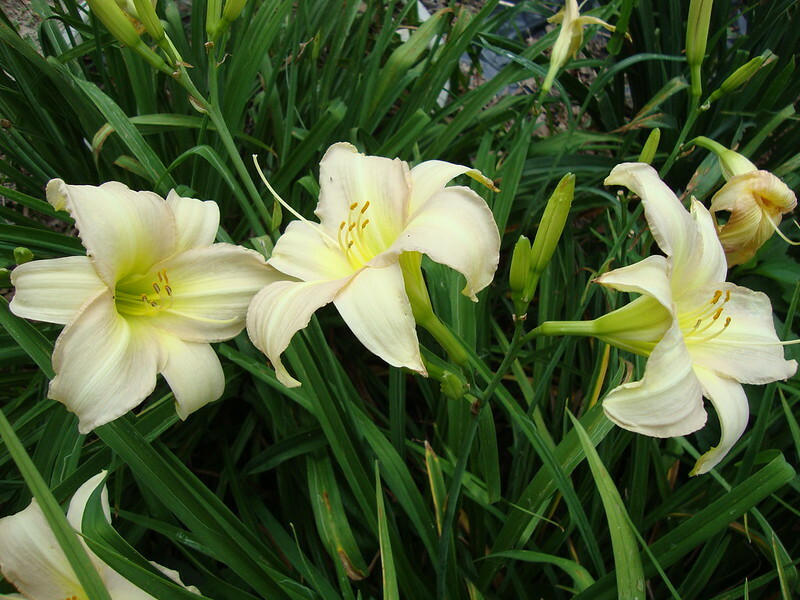 I adore daylilies and have hundreds, like you. My friend about a mile away (as the crow flies) has a daylily farm and she shares. Sometimes she has fans for a dollar. That's why I have SO many. Great pictures! I am always drawn to the yellow ones. A few of mine are starting to bloom but many, many buds ~ soon to be a show. Do you have any of the spider variety (sorry, I can't possibly know all the names)? Wish I knew how to post a picture (why does every site have to be different?). Ah HA ~ figured it out! Beautiful!! I love all of the lovely colors and shapes available. 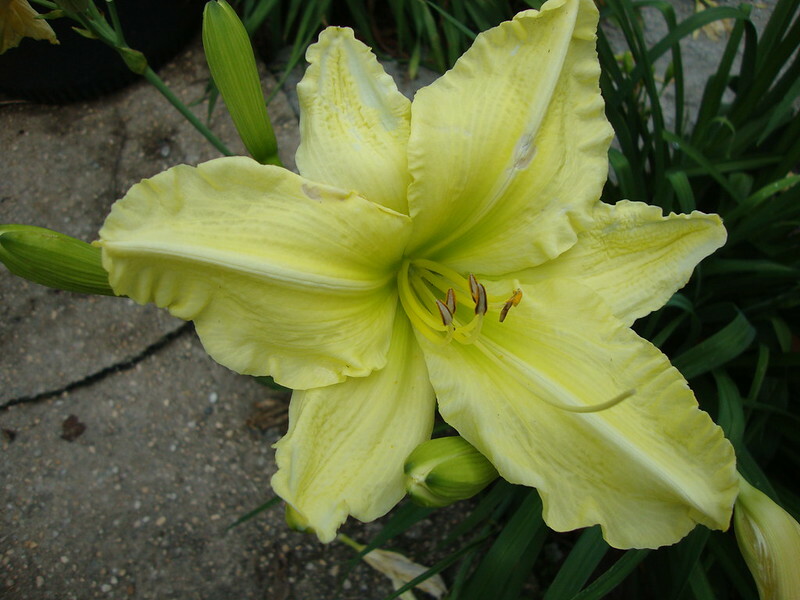 As a child I thought daylilies were boring. 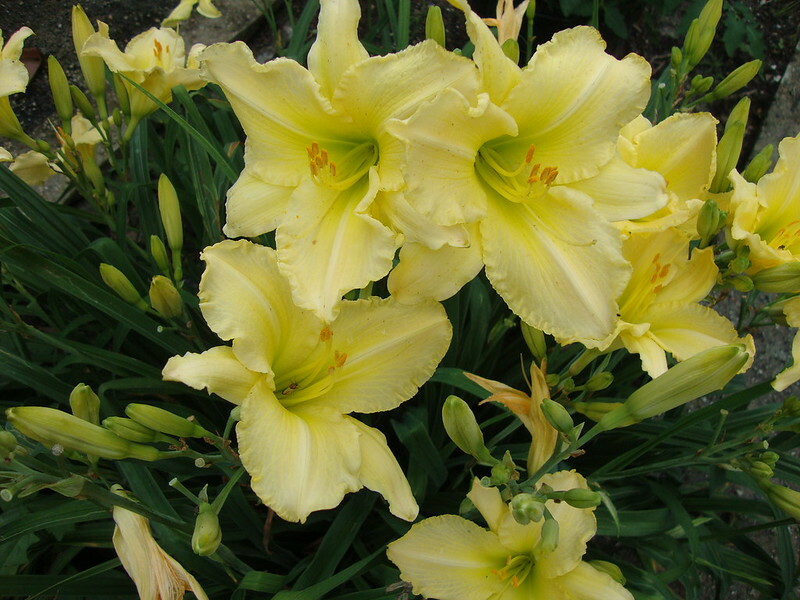 I remember rows of yellow daylilies planted along fence lines. Your plants are beautiful and healthy. 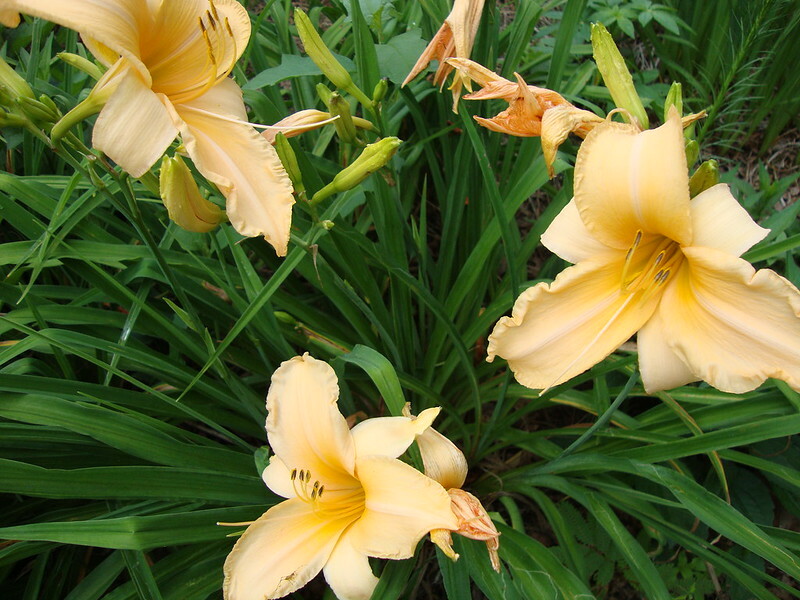 In the south day lily rust has become a problem. Once it starts it is very difficult if not impossible to cure short of removing the infected plants. 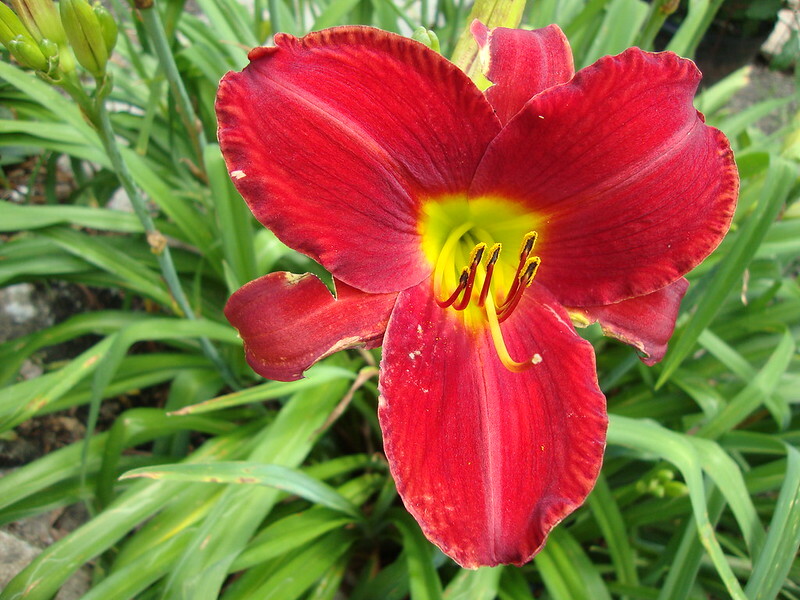 Keep posting pictures of your daylilies. Super! Beautiful. 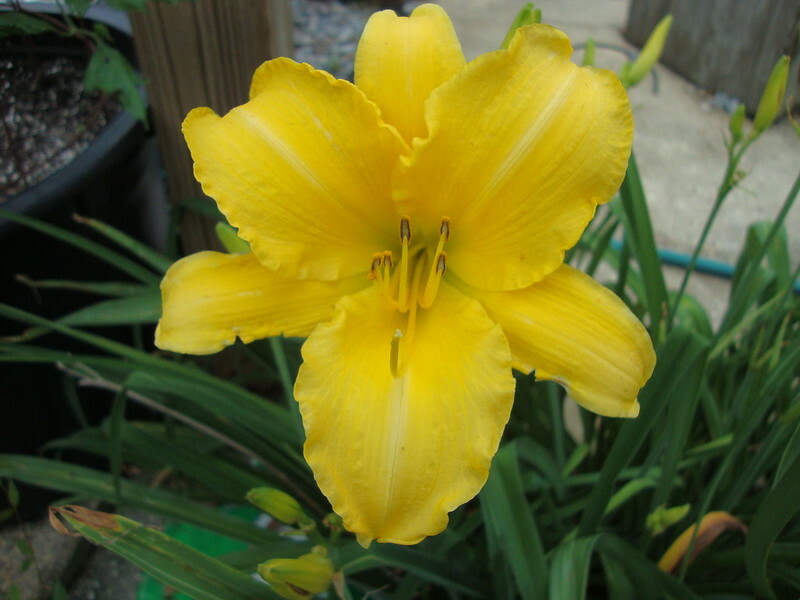 Daylily is the flower number 1! Early to mid summer? Late fall to early winter?